When in Doubt… Yield – KeaPOD 100 | KeaNeato! 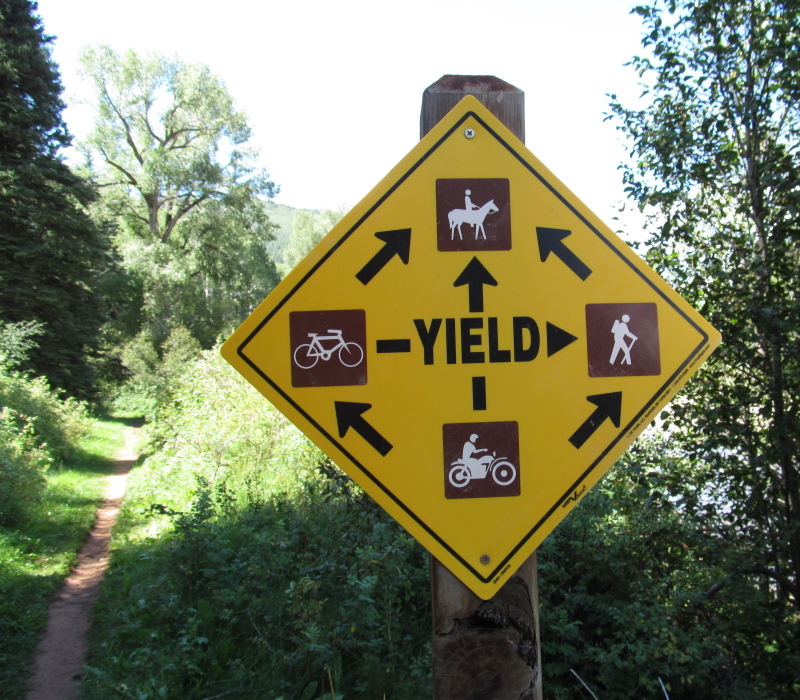 Spotted this sign along Bear Creek Trail in the Uncompaghre National Forest. Photo by keagiles. This entry was posted in weird and tagged photo, yield. Bookmark the permalink. Wow. That is one confusing sign. By the time you figured it out, the yielding would be accomplished.